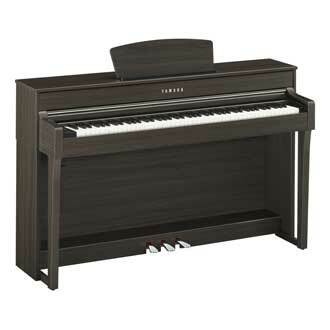 The Yamaha Clavinova CLP-635 digital piano offers many impressive features, including samples of two world-class grand pianos: the Yamaha CFX 9' concert grand and the legendary Bosendorfer Imperial. Binaural CFX technology delivers an immersive headphone experience, while the GH3X keyboard provides an authentic weighted hammer action with synthetic ebony and ivory keytops. Other features include USB audio recording and playback, lesson functions, and drum rhythm patterns.